Richard Drost, left, and James Grindel. 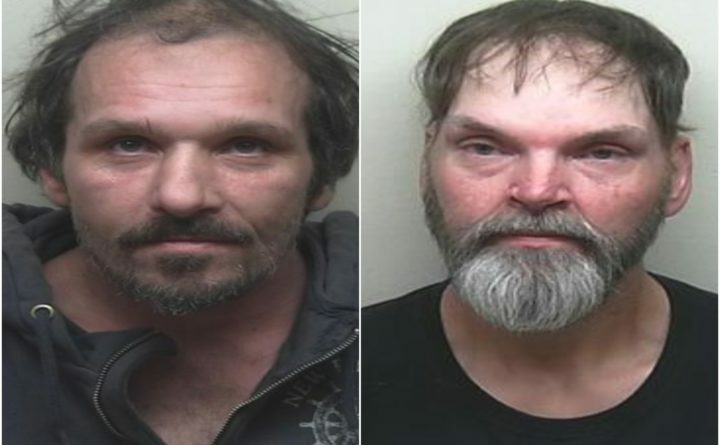 Two people were charged in the past few weeks in connection with a fatal overdose that occurred in Franklin over the summer. James Grindel, 54, of Waltham and Richard Drost, 44, of Sullivan were arrested Dec. 23 and Jan. 7 respectively. Grindel is being charged with unlawful furnishing of scheduled drugs, and Drost is being charged with unlawful trafficking of schedule drugs, according to a news release from Maine State Police. On Aug. 25, Nina Wallace of Sullivan was not breathing when she was found by police at a dirt turnout on South Bay Road. The 34-year-old Wallace later died and police opened an investigation, according to the release. During that investigation, police learned two people — Grindel and Drost — allegedly sold fentanyl to Wallace, which they said contributed to her death. Both suspects were friends of the deceased, according to the release.